The NiGHTS demo of Spring Valley was playable at PAX recently and it's been being received very well by fans! 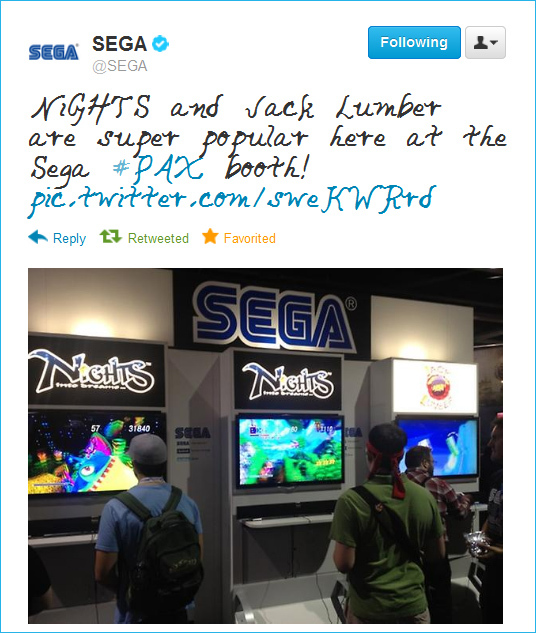 SEGA were there to give a preview of the game and hand out NiGHTS badges. Great to see the game in the public eye again! Here's the wonderfully enthusiastic Mr Anthony Carboni from rev3games letting you all know how badass NiGHTS is *lol* We like this guy a lot. Be sure to subscribe to their Youtube channel. Watch this video for the full lowdown on how the port sizes up.